Sequel to one of the most entertaining shooting franchises in recent memory, Plants vs. Zombies Garden Warfare 2 is developed by Vancouver’s PopCap. Taking the franchise to all new heights, Popcap builds upon the over the top humour that made Plants vs. Zombies Garden Warfare so fun to play. Containing six new character classes, an all-new Solo Player mode, 12 new maps, the ability to import your characters from the first game, a new 24-player Herbal Assault mode, and a whole new slew of multiplayer maps—the Plants vs. Zombies Garden Warfare series has never been so much fun to play. 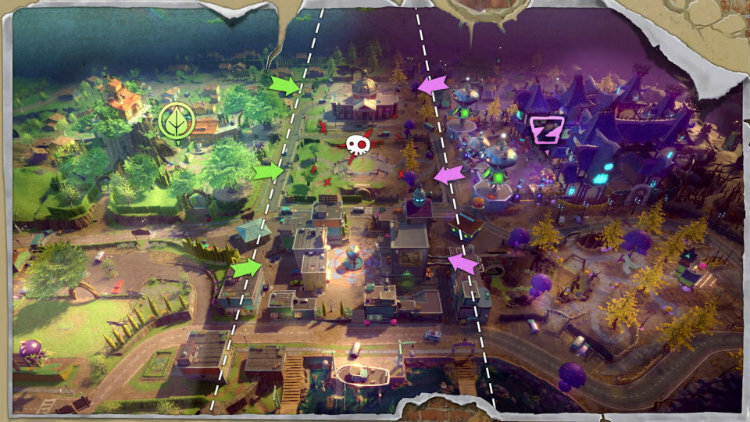 Let’s look at the top three reasons why you should be playing Plants vs. Zombies Garden Warfare 2. 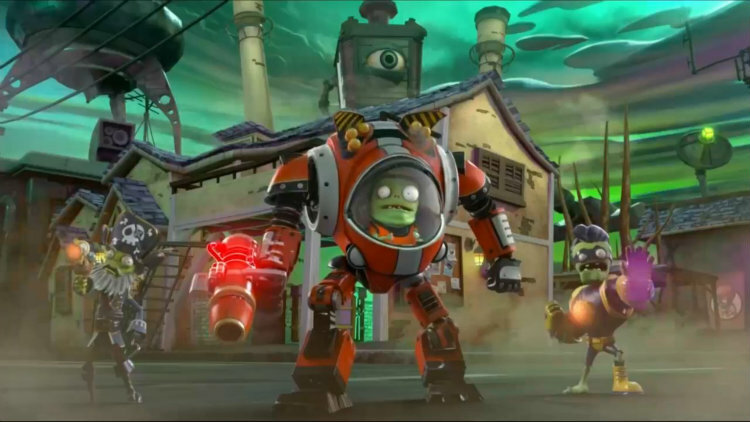 Plants vs. Zombies Garden Warfare 2 includes a single player campaign mode with computer-controlled companions. Complete with a full narrative, and a story for each side, Plants vs. Zombies Garden Warfare 2 shies away from the tower defense accept of the original mobile games. With missions designed to give you the full story of the wild and wacky world of Plants vs. Zombies, the single player campaign is a great place for new comers to the franchise to start. If you are looking for multiplayer fun, Plants vs. Zombies Garden Warfare 2 will get you hooked. With the inclusion of several new ways to play and six new character classes, Plants vs. Zombies Garden Warfare 2 improves upon its predecessor in almost every way. 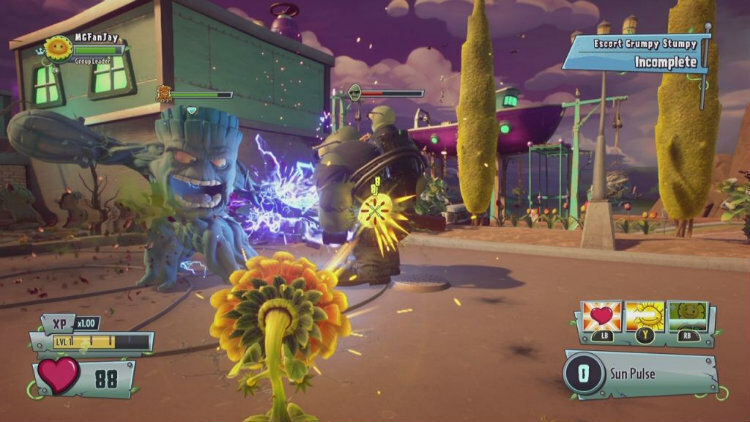 Fans of Plants vs. Zombies Garden Warfare will immediately notice the new and improved interface implemented within Plants vs. Zombies Garden Warfare 2. With an all-new Backyard Battleground hub screen, the menus are gone allowing you to access multiplayer modes, private matches with friends, and solo player with ease. Plants vs. Zombies Garden Warfare 2 contains environments that are absolutely stunning, and embrace a diverse colour palate. Plants vs. Zombies Garden Warfare 2 contains all of the legendary character classes from the first game, and introduces six new character classes that will draw you to this game. New plant class playable characters include Kernel Corn, a giant piece of corn, who comes equipped with a massively devastating rocket launcher, airstrike abilities, and a gun-assisted rocket jump that is out of this world. On the other hand, the time traveling, bounty hunting orange, Citron, is a defense-based character, with a transformation ability that allows him to get in on the action faster than any other Plant. Last but certainly not least, Rose is a powerful sorceress, with a fully automatic weapon that fires homing projectiles. New playable zombie class characters include Imp and Z-Mech. The smallest and most agile of the zombies, Imp can double-jump, and hover in an instant. Z-Mech is Imp’s secret weapon who can be summoned every few minutes and comes equipped with a badass Robo Laser. Unleashing massive damage, and sporting a considerable health gauge, Z-Mech is virtually indestructible. Captain Deadbeard, a peg-legged captain, has a Scurvy Scattershot that can damage enemies at close range, while his Spyglass Shot can be used to zoom in and take out enemies from afar. Finally, we have Super Brainz, his three-hit punch combo and long-range hand laser will help you smash your way to victory. 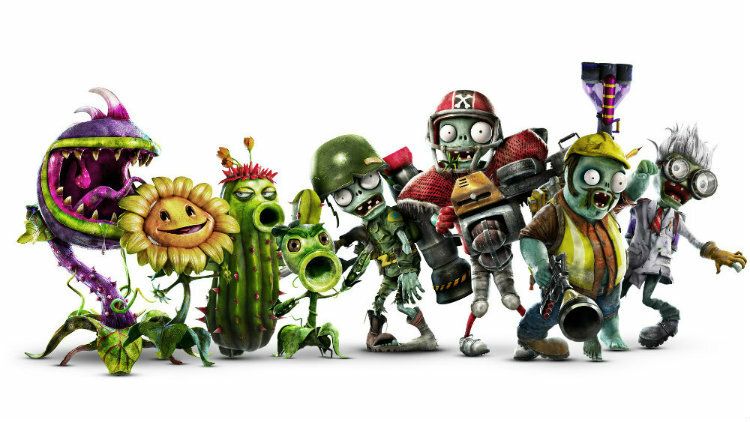 Each of these new characters feel intuitive to use, and fill voids that were present in Plants vs. Zombies Garden Warfare. The roster in Plants vs. Zombies Garden Warfare 2 becomes rather deep, which is great for keeping the game fresh. If you loved Plants vs. Zombies Garden Warfare, then you will absolutely adore Plants vs. Zombies Garden Warfare 2. With improvements on virtually every aspect of the game, Plants vs. Zombies Garden Warfare 2 offers a substantial amount of gameplay modes, and customization options that will keep you playing for a long time. Did I mention the free content updates planned? It’s easy to see that Plants vs. Zombies Garden Warfare 2 is better than its predecessor in every way.